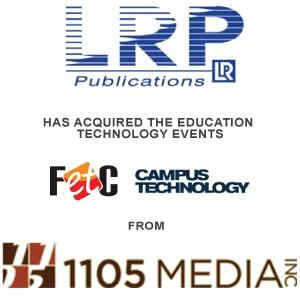 LRP Conferences Acquires 1105 Media's Education Technology Events - Berkery, Noyes & Co., LLC. Palm Beach Gardens, FL — (Marketwired – April 2, 2015)– LRP Conferences, LLC, an affiliate of LRP Publications, producers of national conferences and professional research services, today announced the acquisition of the Future of Education Technology Conference (FETC), FETC Virtual Conference, Campus Technology Conference and the Campus Technology Forum from 1105 Media, Inc., a California based multimedia B2B company. The events guide educators, administrators, district-level leaders, and state and national policy leaders through hands-on exposure to the latest hardware, software and strategies – and how to successfully integrate those technologies across the curriculum, from pre-kindergarten through college. Campus Technology Conference, Campus Technology Forum, FETC, and FETC Virtual attract thousands of attendees seeking to understand the future of education technology. FETC, the largest of the four acquired events, hosts more than 9,000 professionals yearly, which complements LRP Publications’ well-established HR Technology® Conference & Exposition — the largest town hall meeting of HR technology experts and two-time recipient of Trade Show Executive’s Fastest 50 Award. LRP has created a new sector to include the acquired brands, better positioning the company to supply a broader assortment of technology offerings to customers. The announcement was made by Ken Kahn, President of LRP Publications. Terms of the deal were not disclosed. “This transaction will strengthen 1105’s balance sheet and allow us to concentrate our resources on growing the other parts of our extensive product portfolio,” Kapur added. 1105 produces integrated events, information products, and digital and print media in targeted business-to-business markets, with an emphasis on information technology sectors, such as government IT, enterprise computing, software development, and data warehousing. It also has products in such markets as industrial health, safety and compliance, security, environmental protection, home healthcare, and has a robust marketing services initiative. Mike Eason, President of the 1105 Education Events group will join LRP and continue to oversee the business. 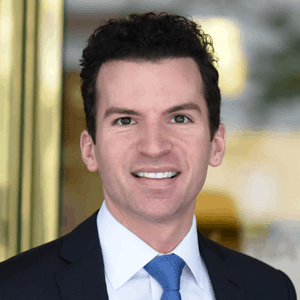 Investment bank Berkery Noyes & Co, LLC represented 1105 Media, Inc. in the transaction.